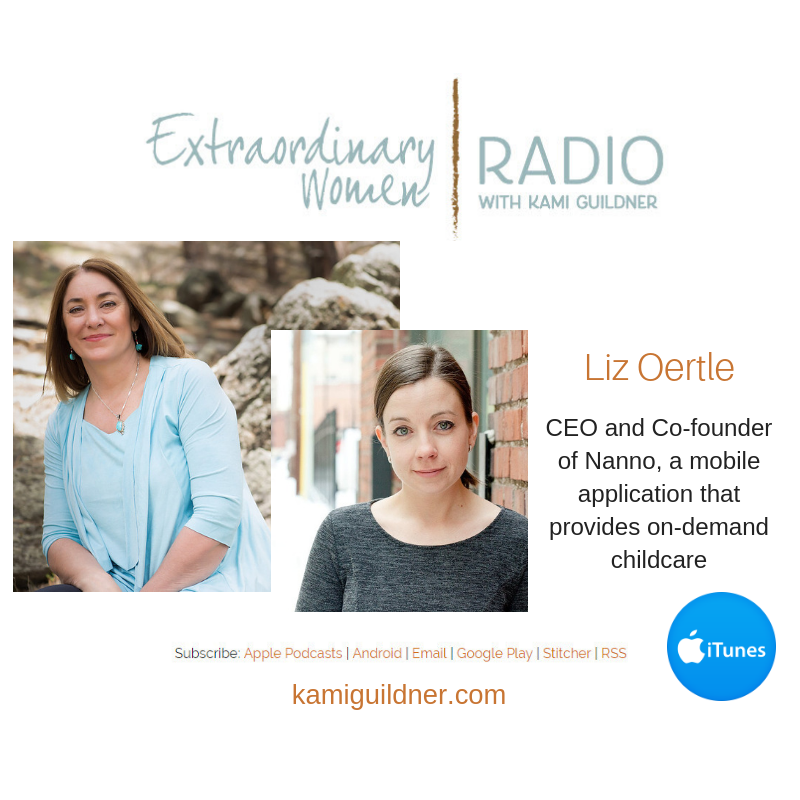 Today’s Extraordinary Women Radio guest is Liz Oertle, the co-founder and CEO of Nanno, a mobile application that provides on-demand childcare through it’s invite-only network – connecting parents with vetted caregivers. How cool is that! As the co-founder and CEO of Nanno, Liz shares her great start-up story, and shares the trials and tribulations of two women in the tech industry raising capital to fund their startup. We also dig into life as a Mom CEO, passion, life pathways and gratitude. Liz will be one of our amazing Circle of Inspiration Facilitators and Panelists at the September 18th Extraordinary Women Connect event in Denver. Our Circle of Inspiration Panel at this event is focused on women raising capital. Extraordinary Women Connect is all about connecting great women to great women in meaningful conversation. This means you join other great women in conversation – including our facilitators – and this makes these events so special. Join us and come meet Liz in real life! Grab your ticket this week at kamiguildner.com, under the happenings tab! It’s going to be a great evening of conversation and connection! To learn more about Liz and Nanno, visit the Nanno web site or follow Liz on Facebook or LinkedIn. Let’s jump in and meet Liz Oertle of Nanno!